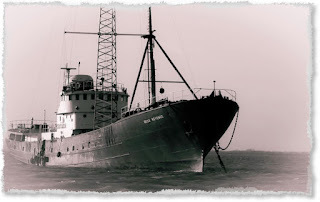 A blog mainly about my favourite hobby-amateur radio, shortwave listening and radio in its many forms. Just over two years ago I purchased an Icom ID-51 Dual Band handheld radio. What was unusual for me about this radio was that it had D Star Capability. This was a mode that had never interested me in the past after all it wasn’t real radio as it depended on repeaters and or internet links to work. However, at that time I was about to move house, had dismantled the shack and taken down my antennas so I thought it would give me some radio interest to occupy my time. Two years on I still have the Dstar gear, have set up a personal D star private node so I can work within a few Kms distance from my shack when I am portable or mobile and using Dstar has also introduced me to the delights of the Raspberry PI mini computer which I use with my node. I have also obtained a DMR handheld, DMR equipment generally is much cheaper than Dstar or the Yaesu digital mode Fusion. The problem with DMR as it of course is a commercial mode and was never really designed for the amateur market. Programming DMR rigs is a real nightmare (for me at least) but I am learning. I am also lucky enough to know a very generous amateur in our local radio club that has loaned me a Yaesu Fusion Rig to try. So now I have all three of the digital modes to hand. Three modes, three radios- Icom ID 51-Dstar, Radioddity GD-77 DMR and Yaesu FT1D Fusion. One thing all of these modes have in common is that they rely heavily on the internet. Yes of course you could have simplex QSOs in any of the three -Dstar, DMR or Fusion but generally this is not how these modes are used. Most people are either working through a repeater or a personal node or hotspot all of which use the internet as its backbone. The three modes are incompatible and at present there are no transceivers that operate more than one of these modes. So, if you want all three you need three rigs! This also has the effect of diluting activity, as some are on one mode, others on another. Activity wise my Experience is DMR is marginally the most active, followed by Dstar and lastly Fusion. Whilst as I have written before it is fun to have Crystal clear worldwide contacts from an armchair using a low power handheld it doesn’t have the same magic as working HF or even FM on VHF. These days VHF 2 metres is all but dead in this area, maybe these digital modes are to blame who knows? But using these digital modes tied into the internet I suppose is no more magic than a telephone call! That said I do use these modes from time to time. Who can deny how useful these systems would be for someone who cannot put up antennas of any description but still wants to keep in touch with other amateurs? The problem I believe is that there are newly licenced amateurs who will never progress beyond their DMR handie and experience the fun of the HF bands simply because its so easy! Back around 15 years ago or so I bought a Drake R8A receiver. It was the first real top- flight receiver I had owned and I remember being very impressed with it. I even used it with some PC software which back then was quite a novelty being able to tune a radio using the PC. Eventually I sold this receiver, I can’t remember why now but it was probably to fund some new shack equipment. I regretted selling it soon enough but these receivers seem fairly rare in the UK so I never managed to pick up another. Although I have held an amateur radio licence for over 30 years and am active on the bands from time to time I have always been an SWL at heart and always have a few dedicated receivers in the shack. In recent years I have had receivers which were top of the range in their day. I still have an Icom R70 and a Kenwood R5000 here, both still very good performers. Just before Christmas however I spotted a Drake R8B on Ebay. It was advertised as having a fault. That fault was that on switch on the radio showed “PWRLOS” on the display. This is in fact not a fault, it simply means that the receiver had been unplugged from the mains supply, the internal clock has lost the time and needs resetting. If this was the only fault then there should be no problems. I took a gamble and bid and won the receiver. It didn’t sell at a particularly cheap price but then again it sold for lower than I would expect, no doubt due to the advertised “Fault”. Well the receiver duly arrived and on unboxing it I found I was lucky. Resetting the clock fixed things and I had an operating R8B. A quick wipe with a cloth and a little polish and the receiver seemed in good condition. Well how does it compare to the other receivers I have? One thing I had forgotten from my old days of Drake ownership. It dwarfs the R5000 and is substantially bigger than the Icom R70. Build quality is not as good as either rig. It seems more flimsy than the R5000 and the R70 which is built like a tank! The Drake has a very light feeling VFO knob too! This may sound like I am disappointed with this set, but actually I am not. The audio quality on the R8A once you plug in an external speaker is superb. It has a good range of IF filters 6,4,2.3,1.8 and 0.5khz, effective passband tuning and notch filter and synchronous AM detection. It would be ideal for a Medium Wave Dxer as it has good sensitivity through the band. I also find the numeric keypad ideal for navigating the bands just by punching in a frequecncy.It is also controllable via a PC although getting suitable software for it these days will be a challenge. I picked up this receiver at a local radio rally a few weeks back. It is an RX80. It was made from a kit Featured in the RSGB magazine "Radcom" in 1981. It is amateur bands only but since it has a digital frequency readout I suppose it was quite advanced for its time. I have never seen one before and as you can see below this is a working example although the WARC bands (10 18 and 24 mhz )dont seem to function. Radio Caroline seem to be testing their 648 Khz transmitter again. Good signal here in daylight hours in South Wales . I was pleased to be able to work special event station GB5RC from the Ross Revenge on 40 metres this morning. Having spotted a comment on Facebook saying they were operating on 7.141 I tuned in at around 0730 to hear them with a weak and watery signal. By 0830 the propagation had totally changed and they were coming into South Wales at S9+10. Congratulations to the team there who are operating a very busy station! Although I have quite a few handheld radios I could not resist this pair of Baofeng 888s UHF radios. Costing £19.00 (around 21 Euros or 24 US Dollars at today's rates) for TWO. A radio for £9.50 can't be bad can it?? Simple sets, 16 channels, no display, all must be programmed via PC. This pair arrived with frequencies programmed in at 462Mhz and around, working back to back. I wonder how many get used on that frequency. Anyway safely programmed for the 70cms band the radios seem to access my local repeater ok. The charger has a USB connector, quite a neat idea I think. I changed my car just over a year ago. My previous car an elderly Volvo S40 was approaching 200,000 miles and was beginning to show its age. I had an Icom 706 MK1 in that car for HFas well as a Kenwood TMG707 for VHF/UHF. Fitting the gear was easy enough with space in the centre console for the two head units. The replacement car a "second Generation" Volvo S40 (an old car in itself- a 2005 model) was a different proposition for radio. In the old Volvo there was a double DIN sized stereo, removing this left a space for a replacement single DIN CD/Radio as well as a space for a radio head unit. In the newer S40's there is no way of removing the stereo, it is built into the centre console and also controls the Aircon, heating etc. I quickly realised HF would be difficult to install in this car so I settled on a dual band Icom 880 rig for VHF/UHF and it also has D star Capability. The body of the rig is installed under the driver's seat with the remote head mounted on a "Proclip" clipped to the centre console. the clip is a bespoke design for the S40 intended for use with a mobile phone but works just as well with the 880 head unit. With the addition of a boot mounted dual band whip I am now back on the air mobile! For Contesting will FT8 give way to a new contest mode (FT4)? A long time since last posting! I am a radio amateur licensed since 1984.I Live in a typical 1980s built semi-detached with a relatively small garden so amateur radio, particularly antennas can be a challenge!